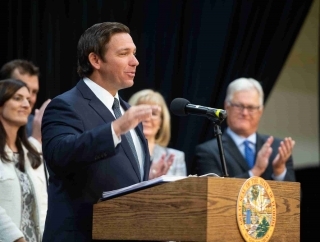 Florida Governor Ron DeSantis spoke at Valencia College’s East Campus gymnasium on Thursday during a licensing and deregulation conference that involved more then 150 members of 23 state licensing boards. 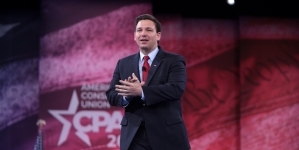 DeSantis called together the various licensing boards with hopes that they would discuss what kind of regulations in their industries they’d like to cut. Industries such as cosmetology, architecture, and real estate were represented. 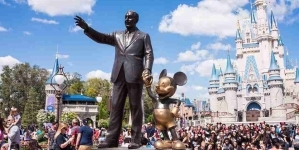 Few boards seemed to have a formal plan going into the conference, some hadn’t conferred about it until today, but for most, the top priority was consumer safety. Nothing would be voted on at the meeting, but the boards are expected to report back to the Governor’s office would make it easier for their fields to flourish without endangering the public. Lou Bush, the Chair of the Florida Regulatory Board of Geology, went into the conference with an open mind. Bush emphasized that maintaining a license for geologists would better protect the public from issues like sinkholes or water damage. The board waited about an hour for the governor to arrive, and after he spoke they started deliberating. The governor also spoke on his plans for Florida education and left the event to unveil a new K-12 initiative focused on Common Core. “We want to be number one in workforce education by 2030,” said DeSantis. 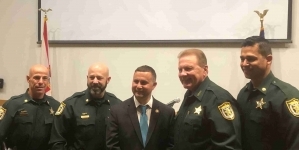 Also in attendance were members of the Florida House of Representatives, John Cortes (D) and Carlos Guillermo Smith (D). “If we’re talking deregulation, I don’t want to see a comprises in quality or experience,” said Rep. Smith. 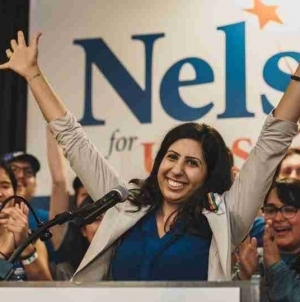 Smith also stated that he’d like to see movement from the governor’s office to eliminate the ban on smoking marijuana and a bill allowing Puerto Ricans displaced by Hurricane Maria to become licensed to work in Florida.